Determining the length of a small shadow on a surface is as easy as using a measuring tape or yard stick to measure the shadow. But for larger objects, such as a tall building, determining the length of the shadow is a little more difficult. It is not always practical to manually measure a shadow’s length. But if the height of the object casting the shadow you want to measure is known, you can use a formula to determine the length of the shadow. A shadow's length varies depending upon the angle of the light source. Visit the “Sun or Moon Altitude / Azimuth Table” Web page on the U.S. Naval Observatory website, or the “Altitude and Azimuth of the Sun” Web page on the Stargazing.net website. Determine the altitude of the sun at the location of the shadow by using the calculator tool on this webpage. You need to know this figure to calculate the length of the object’s shadow. Using the U.S. Naval Observatory sun altitude calculator tool, you are asked to enter a date and the city and state where the object is located. Using the Stargazing.net sun altitude calculator tool, you are asked to provide the same information, but instead of specifying the city and state you must enter that latitude and longitude of the object’s location. For example, in Boston, Mass. 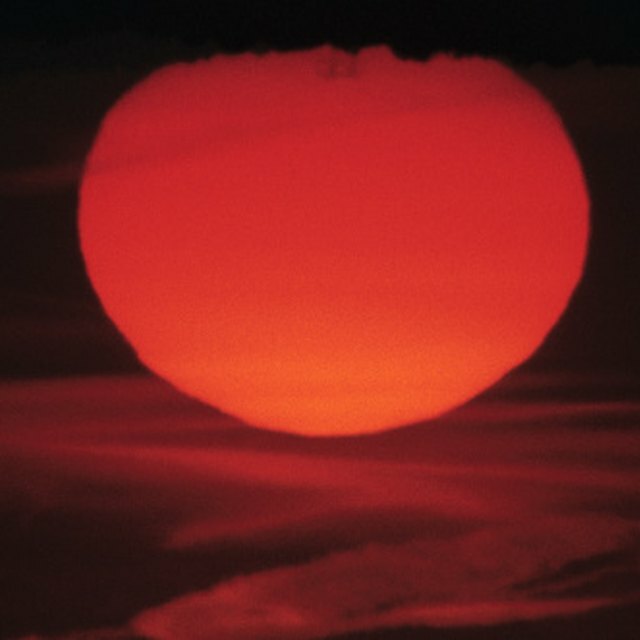 on June 21, 2011 at noon the sun’s altitude is 70.9 degrees. Rewrite the following formula with the numerical equivalents: Object Height / Sun Tangent = Shadow Length. For example, for the 790-foot high Prudential Tower in Boston, the formula would be 790 / 2.89 = Shadow Length. Calculate the formula to determine the shadow length. For example: 790 / 2.89 = 273.36 feet. Because the height of the Prudential tower was given in feet, the calculated length of the shadow is also in feet. In this example, it is learned that the length of the shadow cast by the 790-foot high Prudential Tower in Boston on June 21, 2011 at noon is approximately 273.36 feet. To use this formula to determine the length of a shadow of an object not illuminated by sun light, instead of performing Steps 1 and 2 to determine the altitude of the sun, you must determine the altitude of the light source that is illuminating the object. University of Kentucky: Why study shadows? Austen, Maya. "How to Determine the Length of a Shadow." Sciencing, https://sciencing.com/determine-length-shadow-8767657.html. 13 March 2018.